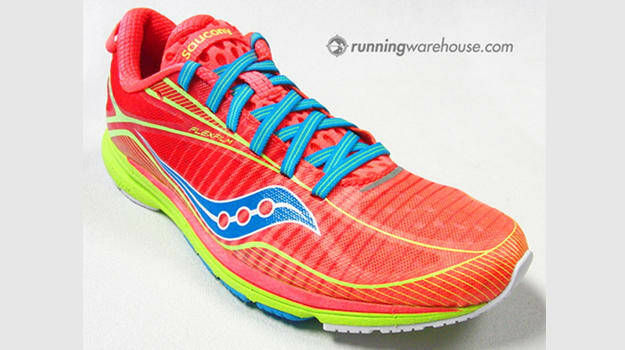 One of the fastest racing flats on the market is set to get even faster in 2014, as Saucony unveils the successor to its popular Type A5 shoe. The Type A6 drops the fierce dotted upper design seen on the current model in lieu of a refined look that’s equally as impressive visually (if not better). In addition to aesthetics, the next generation Type A series comes armed with a series of performance updates. It’s slightly lighter at 5.4 ounces—not much of a change from the A5’s 5.6 oz weight, but hey, every little bit counts when you’re trying to best your PR. The A6 also features a new iBR+ blown rubber outsole instead of the XT carbon rubber version on the A5, which should result in improved responsiveness, along with reconfigured FlexFilm overlays for improved flexibility and overall fit. Look for the Saucony Type A6 to hit retailers in February 2014. The price of the shoe looks like it will remain at the $100 mark.